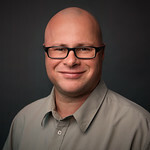 This week I started the Coursera course Functional Programming Principles in Scala with Martin Odersky as instructor. 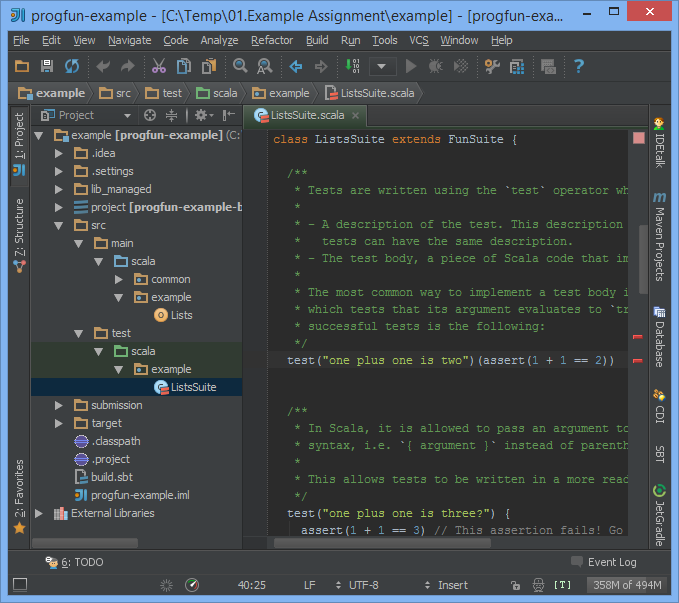 One of my first step was to have JetBrains IntelliJ IDEA working with the Scala programming language so that I can work on the course assignments using my preferred IDE. I have seen that The Guardian published a blog post Functional Programming Principles in Scala: Setting up IntelliJ but it focus on the Unix-like operating systems (OSX and Linux). As I work on Windows I for sure installed it on my machine running Windows 8.1! I also use a different set of tools so here is the way I did it! 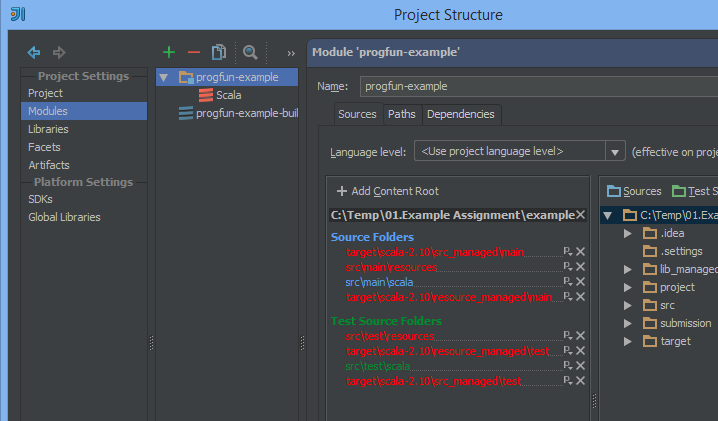 First of all I am assuming that you have JetBrains IntelliJ IDEA 12 and JDK installed. 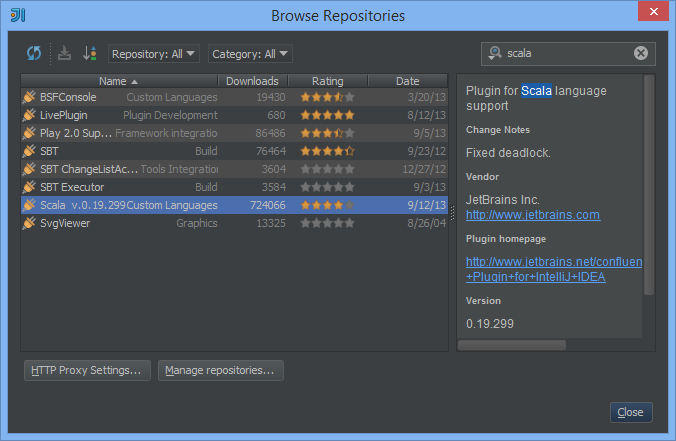 Then you also need to install the SBT plugin also from JetBrains which is still in development and get nightly builds. 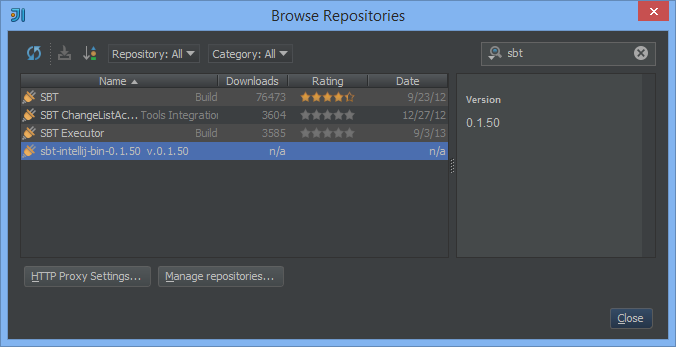 After that, you may install the plugin via Settings | Plugins | Browse Repositories. 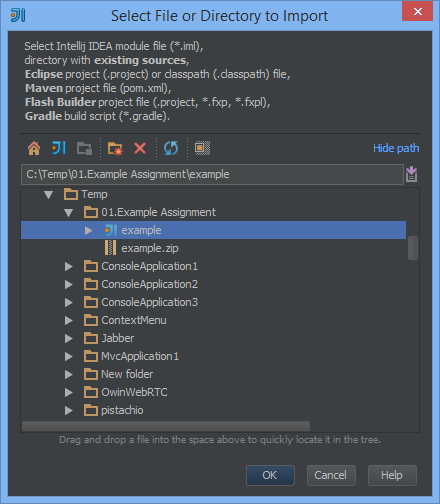 IDEA will check for the latest plugin builds automatically. There is still two tests to fix in the first assignment, this is why there are red! 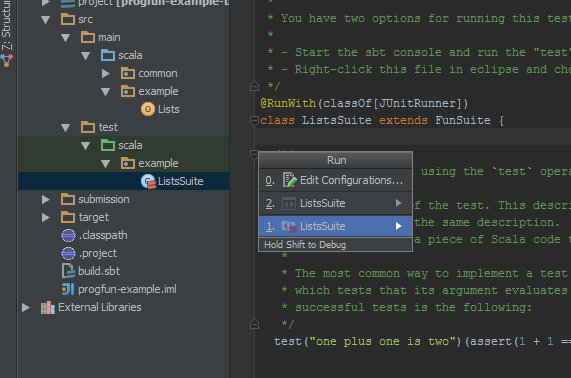 But as you can see now you have a full Scala development environment based on the great JetBrains IntelliJ IDEA IDE! Now you can code with pleasure! 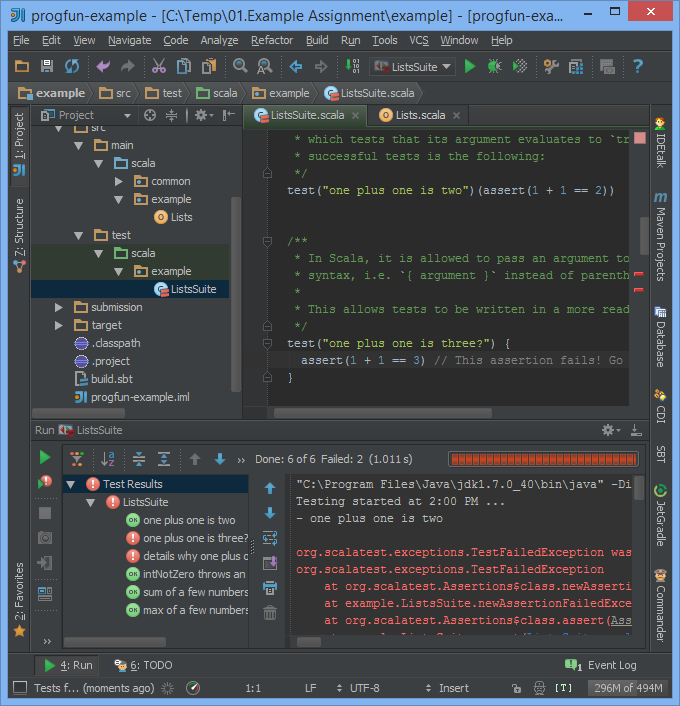 I really enjoy the first week assignments and implemented the first two as coding Kata! 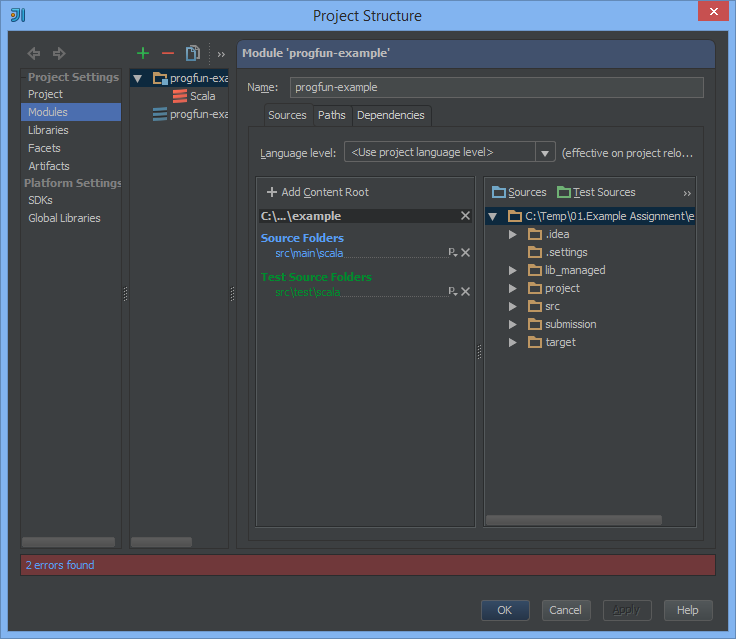 And I even involved France-Anne for the second one; first time that she is coding something . Very nice!